Did you bag anything in the lead up to Black Friday? I did. Will I keep it? Who knows? Friday Five (1 of 5) Good Basics. Well not strictly a Black Friday purchase, but I did utilise the recent 20% off M&S Family & Friends discount. I decided to go with a new black cashmere jumper and wanted a slouchy boyfriend fit so I sized up in one of the women's classic cashmere crew necks to a size 14 (I'm normally a 10). I wanted absolutely no cling to the old belly. The other purchase I made was a new pair of black skinny jeans. When it's winter, I prefer my jeans a bit neater and also never jet black. They have to have a slight fade to them and the M&S ones were perfect. 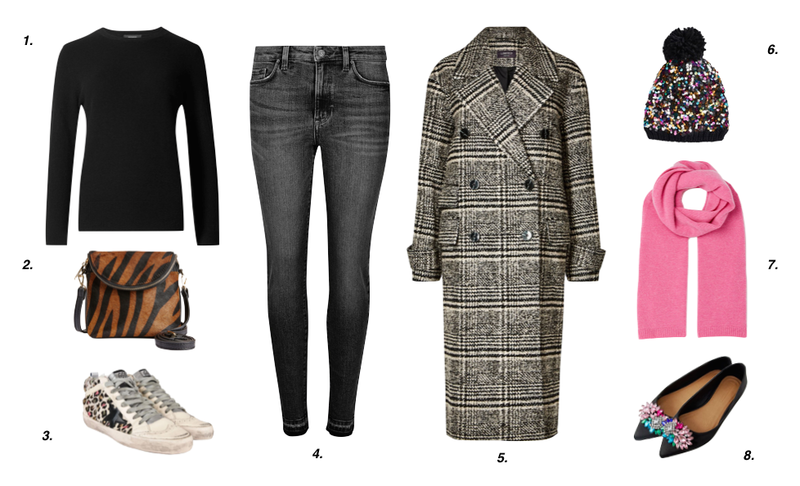 I already have a Matalan check coat similar to the one above but thought I'd feature the M&S one as people often comment on mine and this looks a good dupe. And I was thinking how I'd like to inject a little colour in to the sartorial proceedings by a jazzy blingy hat and an eye popping pink scarf. Because sometimes, just sometimes, I do take a walk on the pink side. Friday Five (2 of 5) Portuguese Tarts. 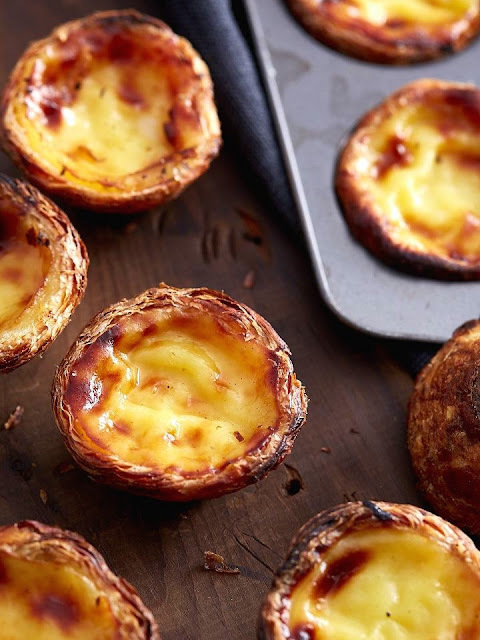 I've got a thing for Portuguese tarts at the moment. I've had one a day for the past week. Sometimes I get them from Lidl (49p) and some times from the Co-op (about 80p) and there's not much between them apart from 30p. Are they good compared to the real thing? I don't know but for the time being, they're good enough for me. 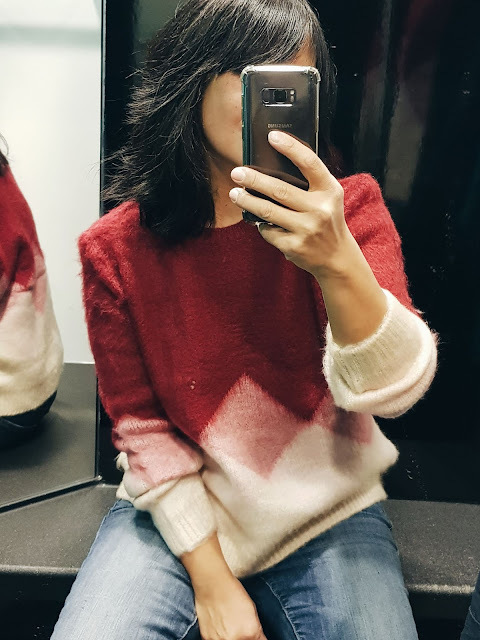 Remember last year, I bought the above jumper from Sezane? Well Primark have bought out their dupe this year. I did a double take when I saw it and if I didn't already have one, I would have been delighted to nab this one. But because I have one, I can tell you what gives. 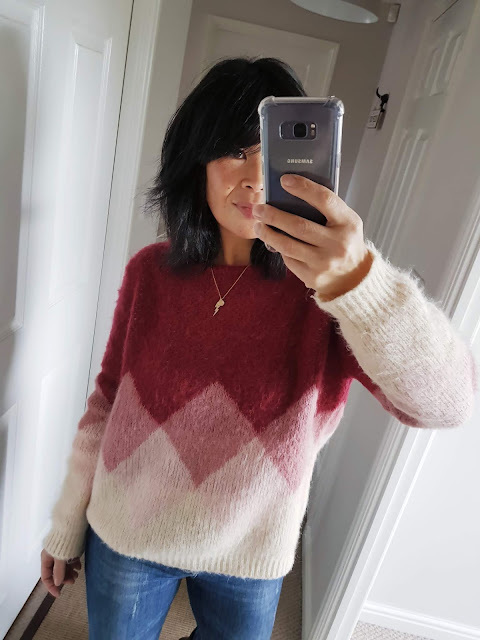 On the Primark jumper, the fluffy finish is somewhat uneven (have a look on at the shoulders on the pic) but you might be able to be sort this out with a wool comb and for some reason, I really struggled with the fit on the shoulders - it didn't sit well on me. That aside - they really tried to do a good job for the price so if you want one and have time and patience - take a few of the same size in to the changing room to try to see which is the best one. I keep getting messages saying they missed that blooming ASOS leopard skirt as it sold out again. Well if you can't get the skirt, you could always go for the dress! I think the Office Armour boots are the ones. 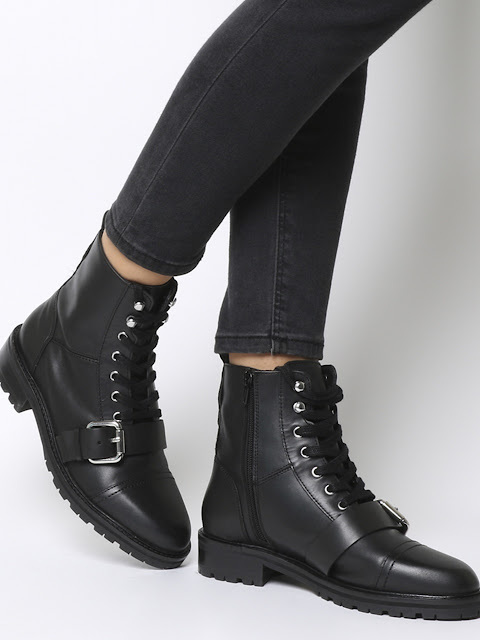 After trying 3385918757556 pairs of black boots and returning just about all of them, I think the Office ones are the ones ... for me. Not overly clompy and a little more refined and finished than some styles, they were also the most flattering on my leg. I actually bought them full price but have just packed them back up to return as I re-ordered them with the Black Friday discount. You can't blame me. You'd do the same.